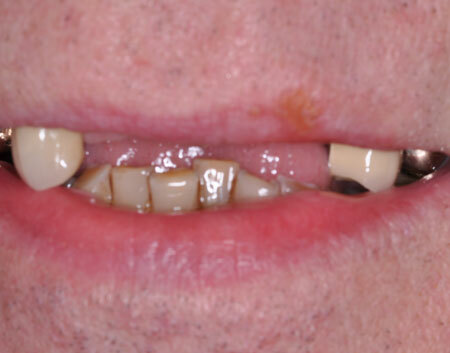 when you have an affordable, friendly service, right on your doorstep. 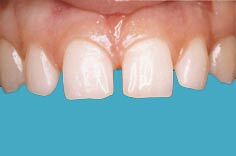 A veneer is a new front surface for a tooth, custom made at the laboratory. 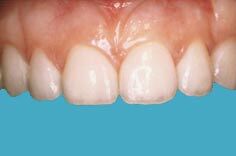 Veneers are extremely versatile and can be used to align crowded or protruding teeth, close gaps or lighten tooth colour. 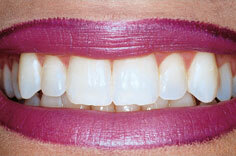 We offer the home whitening kit, which includes custom made trays and whitening gel. 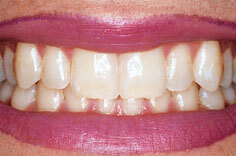 We recommend whitening for around 1 hour a day for two weeks for excellent results. 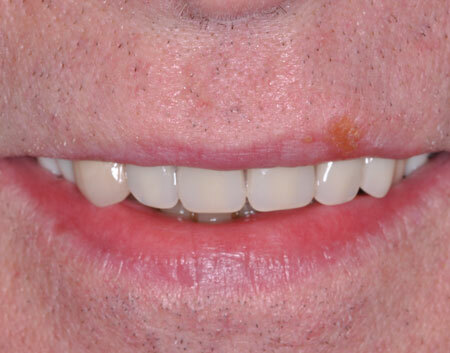 This patient had lost his front teeth, a denture was made which not only helped him to regain function but also gave a great aesthetic result. 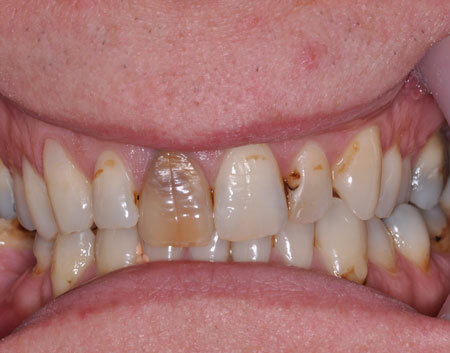 This patient presented at the practice unhappy with their dark and aging teeth. 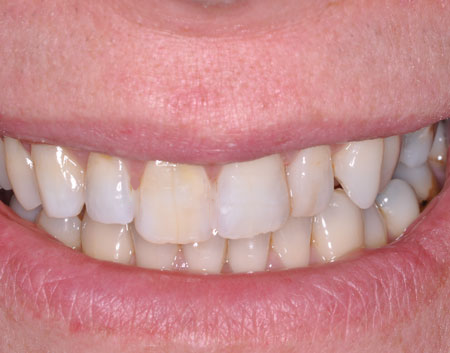 We whitened the teeth initially and then placed some composite bondings and a porcelain crown to create this healthy and youthful smile. 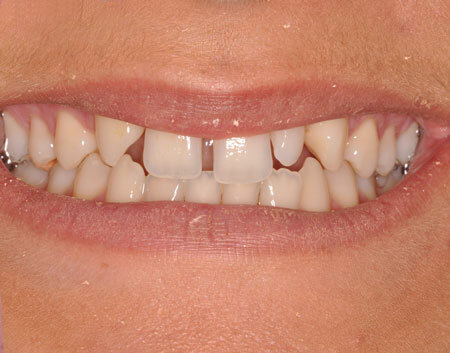 This patient had been unhappy with the gaps in her teeth for a long time. 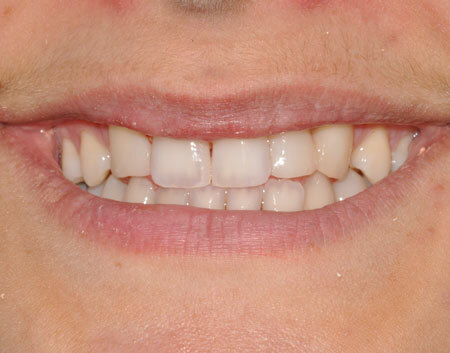 We built up the teeth using a white composite filling material, changing the width and shape of the tooth, this created a straighter more even smile.